View towards section positions taken from Corporation Marshes. All that remains of these positions are faint earthworks and few lumps of concrete from a destroyed pillbox. This was a section position for about ten men and was also probably for the platoon HQ. 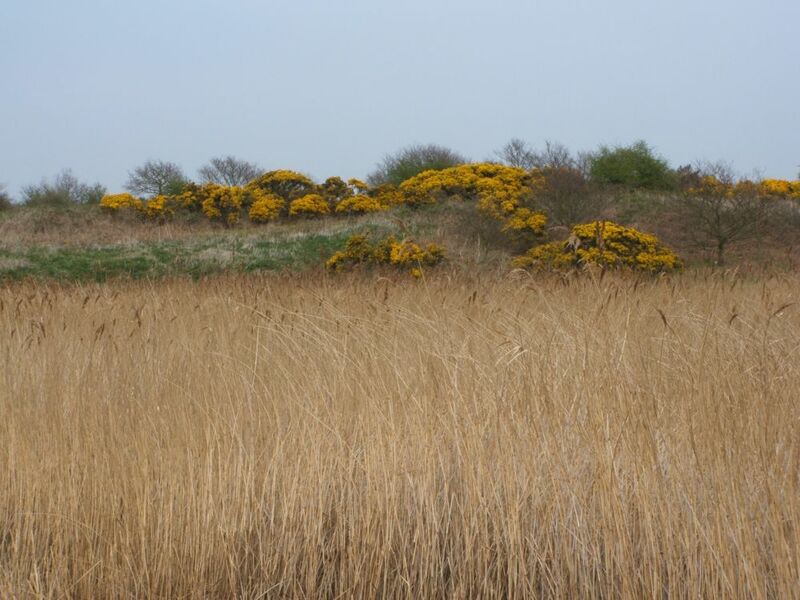 The siting on the higher ground above the marsh is clearly evident and gives excellent views towards the coastline.